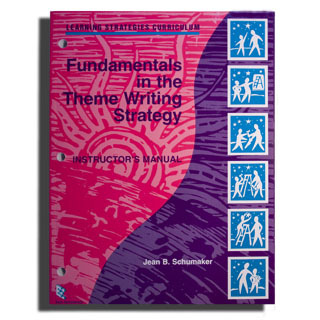 View cart “Fundamentals in the Sentence Writing Strategy: Student Materials” has been added to your cart. One way that good readers make sure they understand and remember what they read is to paraphrase it or summarize it. In order to put information into their own words or summarize it, they distill it down to its most important points. This program helps students do just that. They learn toidentify the topic, main ideas, and details of a passage, and they learn to translate them into their own words. This program includes 14 lessons that build on one another in a step-by-step fashion. For example, students first learn to paraphrase words, then phrases, then sentences. 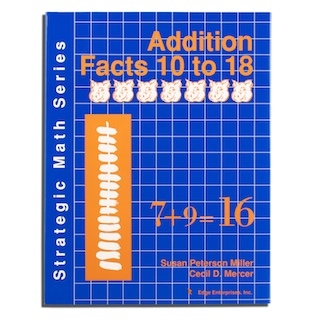 A separate student materials volume provides all the learning sheets students use to practice each skill. Please don’t forget to order the student materials volume! Prerequisites: The instruction is best suited for students reading at or above the fourth-grade level. Teaching the Word Identification Strategy before this instruction can be very helpful to students with regard to helping them apply what they learn to grade-level materials. This study investigated the effects of teaching the fundamental skills associated with paraphrasing and summarizing in relation to students’ ability to identify and paraphrase main ideas and details. Two experimental general education classes of tenth graders (n = 43), in which some students with disabilities had been included, worked through the lessons in the Fundamentals of Paraphrasing and Summarizing Program. A comparison class (n = 23) of tenth graders received typical English instruction. There were some students with disabilities included in this comparison class, as well. The classes were randomly selected into the conditions. All students took a test where they had to write paraphrases of the topic, main idea, and details of each paragraph in a different passage before and after the instruction. The design was a pretest-posttest comparison-group design. Figure 1 shows the mean percentage scores earned by the students on a test where they had to paraphrase as they wrote the topic, main idea, and details for each paragraph in a passage. 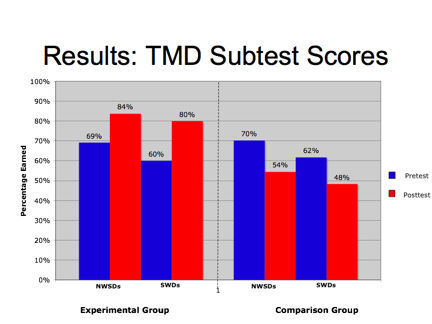 Students who had disabilities (SWDs) and students who did not have disabilities (NSWDs) in the experimental classes earned higher mean scores on the posttest than the pretest. The opposite was true for the students in the comparison class; their posttest mean scores were lower than their pretest scores. An ANCOVA revealed significant differences between the posttest scores of the experimental and comparison students without disabilities (NSWDs) in favor of the experimental group [F (1,53) = 54.404, p < .0005, η2 = .507]. This difference represents a very large effect size. Two-tailed t tests revealed that there were no differences between the pretests of the students with disabilities in the groups, but there were significant differences between the groups’ posttests [t (4.115) = 3.307, p < .028, d = 3.31], in favor of the experimental students with disabilities. Again, this difference represents a very large effect size. Students in general education English classes could learn fundamental skills associated with paraphrasing and summarizing, two reading comprehension strategies. Both students with and without disabilities learned how to identify and paraphrase topics, main ideas, and details in paragraphs in reading passages above the 80% level, which is generally considered to be a mastery level for learning strategies. Moreover, their scores on the posttest were significantly higher than the posttest scores of their peers in a comparison class. Graner, P. (2007). The effects of strategic summarization instruction on the performance of students with and without disabilities in secondary inclusive classes.Unpublished doctoral dissertation. Lawrence: University of Kansas. I grew up with a concern for children who need special help. One of my earliest experiences was organizing birthday parties for children with disabilities at the Matheny Medical and Educational Center in New Jersey. After the birthday parties were over and all the decorations had been cleaned up, I spent additional time with those children, putting them to bed, reading to and talking with them, and singing to them. Through those experiences and others as a camp counselor, I found that I loved being with children and teaching them. Eventually, I decided that I wanted to be a clinical psychologist, and I went to college and graduate school with that goal in mind. However, along the way, I got hooked on doing research! In particular, I got hooked on research related to ensuring that children learn. 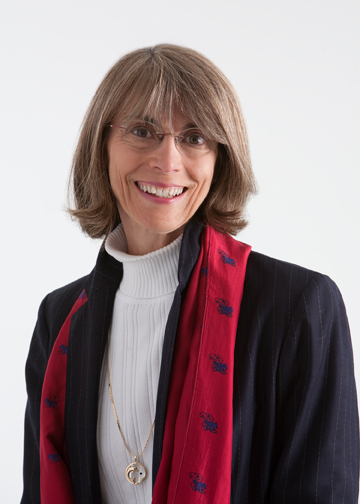 I’ve worked with children in schools, camps, group homes, hospitals, and clinical settings. Across all those experiences, I’ve learned that all children can learn. I’ve learned that, if we hold high expectations for them and use special teaching methods, they usually meet those expectations. I continue to do research with the goal of helping teachers teach and students learn. In 1999, as Jim Knight (one of my co-authors) was directing a comprehensive school reform project called “Pathways to Success,” he shared many of the learning strategies programs with general education teachers in the Topeka, Kansas School District. He found that the teachers loved to teach the writing strategies because every skill that each student had to learn was taught explicitly in sequence with other skills. 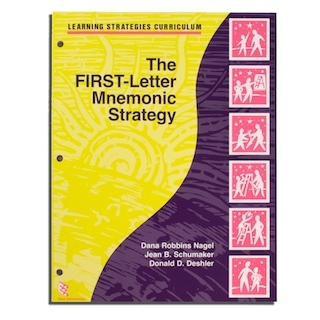 The writing strategy instruction was very step-by-step, and that was really helpful for students and teachers. In particular, the teachers told us that the Fundamentals of the Sentence Writing Strategy program was very helpful because it provided students with the essential background skills they needed as prerequisites for the more complex writing strategies and helped them become successful writers. Jim decided that we should create a Fundamentals of Paraphrasing and Summarizing program, modeled on the Fundamentals of Sentence Writing Strategy program. 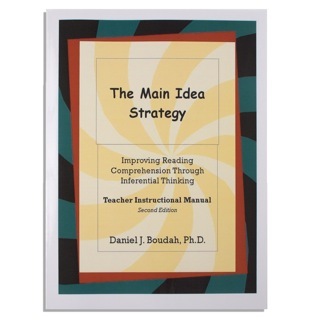 He adapted the instructional format used in the Fundamentals of Sentence Writing Strategy instruction to teach some foundational reading strategies and skills. Over a semester, he created the learning sheets for this new program and tried them out in collaboration with teachers, modifying the materials based on their feedback. Then, he conducted the first of two studies using the materials with seventh-grade students at French Middle School. Early in the development process, he convinced me to collaborate with him on the project, and I wrote the instructor’s manual to correspond to the learning sheets he had developed. Jim did a second study, again with seventh-grade students at French Middle School, and both studies demonstrated significant gains for students who received instruction in the strategy compared to students who had not received the instruction. Later, Patty Graner did another study in another school district that showed significant differences between students who received the instruction and those who did not. 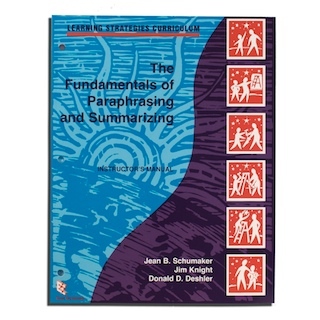 The Fundamentals of Paraphrasing and Summarizing program is designed to be used in both large-group and small-group instructional situations. The program was initially used in reading classes with more than twenty students, and it worked very well, thanks in large part to the learn-by-watching, learn-by-sharing, learn-by-practicing approach, which is modeled after Anita Archer’s “I do it, We do it, You do it” approach. One of our goals was to provide teachers with all of the reading passages students would need so they would have all materials required to teach the skills, and we really wanted to create readings that would be interesting for students. Jim was the main author of reading passages, and he created them in a way that they could be used as prompts for lively discussions in the classroom. During our initial development work on the Fundamentals of Paraphrasing and Summarizing program, we heard many encouraging comments. Perhaps most importantly, students who were struggling learners were happy to plot their progress to depict just how well they were doing. Their teachers reported that they saw students who had been struggling all year succeeding with the program. Since then, we’ve received dozens of emails from teachers who are grateful for the step-by-step structure of the lessons and for the inclusion of all the reading passages they need to teach the skills. Teachers have also written to say that they really didn’t know how to teach these skills before they learned about this program, but now they feel they clearly understand how to teach students the basic skills associated with paraphrasing and summarizing. District personnel are reporting that they are seeing gains on state reading competency exams when this program has been taught.